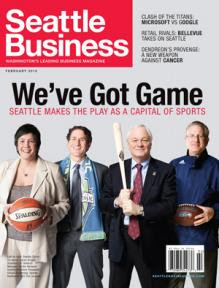 Seattle Business Magazine ran an article in their March issue titled "The Commercial Real Estate Crash". Click here for the full article. "Broderick Smith, vice president at Urban Visions, a real estate development and brokerage firm in Seattle, says landlords and building owners who used high amounts of leverage in the 2005 to 2007 boom years may encounter an "equity gap" when it comes time to refinance, due in large part to tighter lending criteria from banks. Though a building may still be able to cover its debt service at maturity, other factors have shifted in the capital markets. These changes make it challenging to replace a note with terms similar to one written in the stronger climate, Smith says. Landlords will have to bring new equity to deal. What will happen to the banks when faced with building owners and landlords who can't pay? "If a bank ends up taking an asset back, it may be less willing to unload assets at 'fire sale' prices after watching how much money investors made in the '90s buying bank-owned real estate," says Smith. "Either way, we do not anticipate banks will own more commercial real estate in the coming years. The fact of the matter is that they are not in the business of owning real estate. They will want to get the real estate off their books."